Available statistics from the Central Regional Health Directorate has indicated a marginal decline in teenage pregnancy from 13.3 percent in 2016 to 13.1 percent in 2017. This was announced at the health directorate's annual performance review meeting held at the Cape Coast Metropolis. According to the health directorate, though the decline in teenage pregnancy cases is commendable, it is unacceptable and, therefore, stressed the need for stakeholder engagement to correct it. The Central Regional Director of Ghana Health Services, Dr Alexis Nang-Beifubah, reported that family planning in the region increased from 28.3 percent to 30.6 percent in 2016 and 2017 respectively. The development, according to him, is from the constant public engagement and education his outfit has been carrying out in the region. He announced that the directorate has activated its surveillance system across all the health posts and health offices on Lassa fever alert as directed by the Ghana Health Service. Dr Nang-Beifubah added that the region recorded no case of epidemic-prone diseases during the period under review. However, he indicated that the region is confronted with a number of challenges, including the upward trend in morbidity and mortality. “Also, there is human resource problem in the region. This is due to lack of financial clearance for the employment of new staff to replace members who have retired or passed on,” he said. 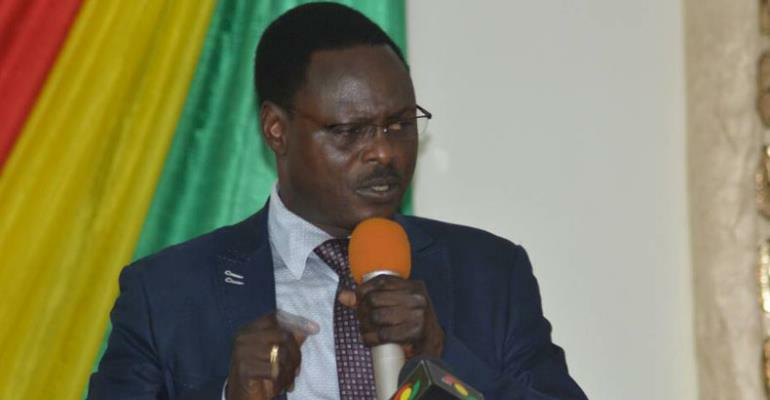 He stated that “116 health staff retired in 2017 compared to 94 and 92 in 2015 and 2016 respectively representing 23 percent decrease over 2015 base year,” Dr Nang-Beifubah mentioned. The regional director commended DFID and non-governmental organisations for supporting the region with 125 TSV motorbikes for and vehicles for service delivery, especially at CHPS compounds.